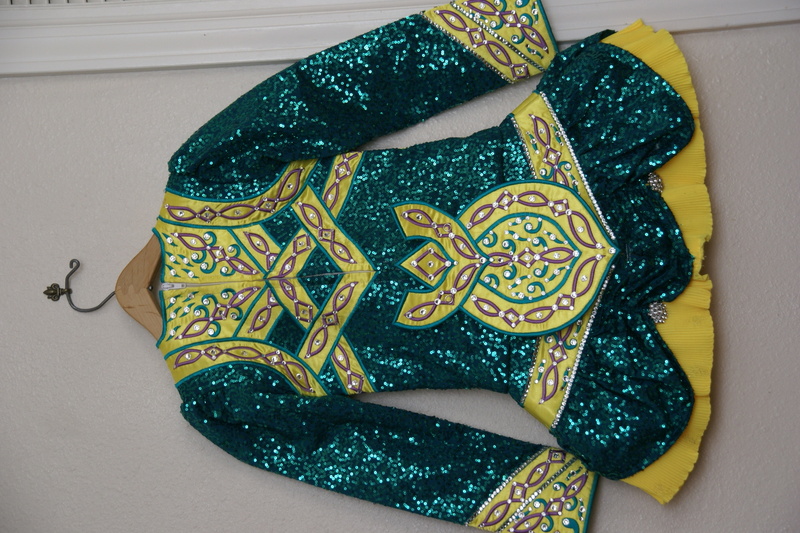 Stunning one-of-a-kind Avoca dress made in 2011, worn by a 2012 World Qualifier. 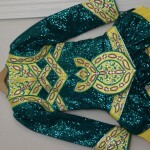 Dancer also placed in top ten at 2011 and 2012 US Western Region Oireachtas. Dress is in excellent condition. 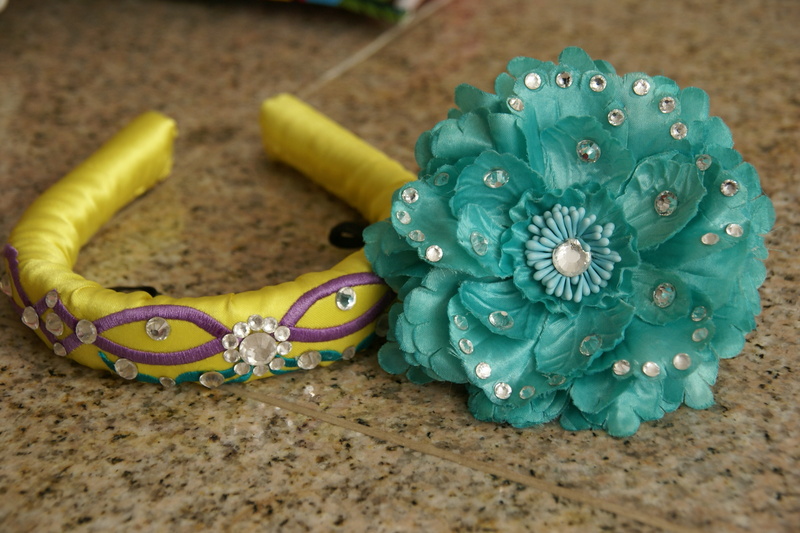 Beautiful green sequin fabric with yellow criss-cross satin accented with light purple and white embroidery. 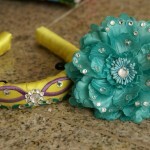 Hundreds of Swarovski crystals added throughout. Excellent stage presence. 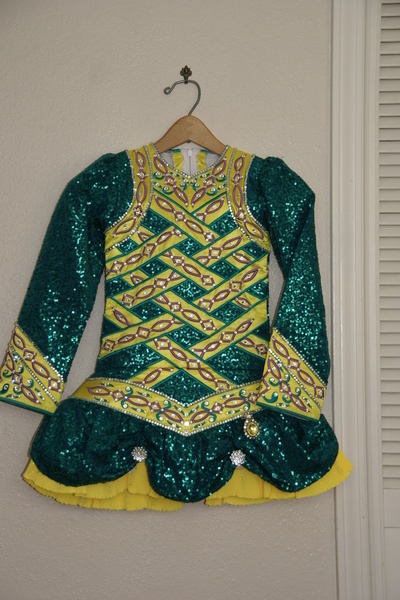 Comes with matching headband, yellow bloomers and green flower for the hair. Only one owner – no odor, no stains. Side seams can be let in/out if needed. Asking Price: $US1,000. Shipping costs are included for my own country, overseas shipping is extra. Sale is final.